The crows I've been feeding can now recognize my car. I've suspected this for a about a week after an incident where a crow landed on the bike rack of an SUV in front of me while I was waiting at the stoplight out of our neighborhood. The crow in question looked directly at me and only left the bike rack when the light turned green and traffic started moving. Still, this was hardly sufficient evidence and could have been chalked up to mere coincidence. When I pulled into my neighborhood just now, I watched two crows jump out of trees and take flight toward my house. By the time I was pulling into my driveway, the pair I most commonly see were already in trees in my garden crowing their hearts out. When I got out of the car, they didn't even fly away. They just looked directly at me from their perches and started crowing louder. After I fed them, they spent ten minutes eating their fill and left the rest to the blue jays. It's hard to articulate the joy and feeling of peace that the crows bring me. On bad days, they raise my spirits, and on already happy days, they make me feel like dancing. When I hear crowing out in the garden, I can't stop myself from smiling. It took a couple of months to convince the crows to come to my garden, and even once they arrived, they watched me warily from the safety of the trees, letting the squirrels and blue jays eat my offered food. 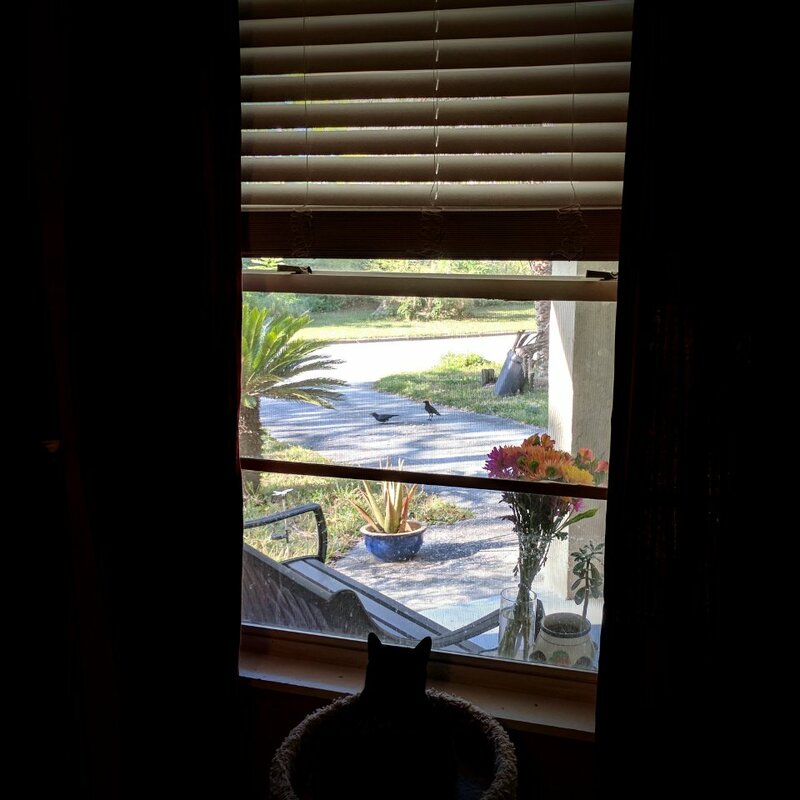 When one of the crows came down and took some of my food, I just sat at my front window and watched until she left. I'm not sure why crows are so meaningful to me, but I also don't overthink it. My personal religion is a religion of the wilds, of Nature and natural cycles and an intuitive partnership with the land around me. Attracting and feeding crows felt important to me, and that was justification enough to make it happen. I give them food, and they bring me smiles and laughter. I think we're both pretty pleased with this arrangement.